It’s easier than ever to work from home and use software to collaborate online and keep your team focused, organized and on task. We bring you the best online tools your team can use to communicate and collaborate efficiently on projects. How Many People Work Virtually? Should I Use More Than One Tool? Which Tools Do We Use? Working from anywhere has never been easier thanks to WiFi, cloud computing, smartphones and online collaboration tools. Building relationships is also easier and faster due to social media. According to GlobalWorkplaceAnalytics.com, approximately 20-25% of the workforce teleworks at some frequency. In fact, 4.3 million employees now work from home at least half the time. These numbers continue to grow as large companies get comfortable with allowing employees to work from home regularly — thanks to effective online collaboration and project management tools. We Rock Your Web has been testing and using various tools throughout the years to keep our virtual team connected and productive from locations around the world. What Are The Best Online Collaboration Tools? You have tons of options for your online collaboration needs. Some have overlapping features; however, each offers a different type of service. Some specialize in task management, while others are better for instant messaging. You may find it best to use multiple collaboration tools (like we do at We Rock Your Web). For that reason, we’ve chosen a winner for each category rather than our typical top 3 picks. Read the reviews below to see what each company specializes in and how they can help your team. Teams of any type (virtual or not) require you to use tools to manage tasks and projects of all sizes. The challenge is getting everyone on board with the same system. You want something that’s complex enough to give you options and flexibility, yet not so complicated and overwhelming that you spend more time learning the system than getting work done. At We Rock Your Web, we’re suckers for Basecamp (and many others are too), but from the recent research we’ve done, it seems more teams are migrating toward Teamwork Projects because it has more features than Basecamp. Basecamp is straightforward without being too simple, but if you crave something with more bells and whistles, try out Teamwork Projects. Below are more details about both, and you can also learn more in our Project Management Software Reviews. Teamwork Projects is super easy to use and intuitive. It’s similar to Basecamp except it has a few more features, including the ability to give tasks priorities, create milestones and invoices, and track time. It also has a desktop timer you can download to your PC or Mac to track hours by project and task. You can also customize Teamwork Projects to fit your team’s specific needs. You can also view what’s on your plate by checking out the calendar or see a list in an activity log format. It also shows workloads and a snapshot of tasks and milestones that are past due. Teamwork Projects continually makes updates and improvements to its service. In 2018 it introduced advanced features like bulk-editing, historical information on changes for each task and the ability to exclude tags from search. If you like Teamwork for project management, it even has its own chat and help desk products so you can keep everything under one roof. This is an affordable option for those of you looking for a collaboration tool with basic yet functional project management. Teamwork occasionally has promotions, find and discuss them on our dedicated Teamwork discount code page. Are you looking for a basic, easy-to-use and straightforward project management tool? Look no further than Basecamp. You can track projects and tasks via to-do lists, host written discussions, embed media files (images, videos) and more. Basecamp 3 is our primary project management tool at We Rock Your Web. What’s great about Basecamp is its simplicity. There are few distractions to take you off task. Basecamp cuts down on email when you set up your notifications so you only receive alerts or email when a specific task or discussion is relevant to you. It also keeps you organized by stringing discussions together in one organized task. You can tag people and assign the task to whoever’s court it’s in (or multiple people). Basecamp 3, the newest version, gives you added control over these notifications. Get $50 off of Basecamp via this link! You can also see and discuss promotions on our dedicated Basecamp discount code page. Nutcache focuses on helping teams be more efficient by managing the entire project delivery lifecycle. This includes the initial estimate, project budgeting, time tracking, expense management and final billing. All projects are located in one place to help you with time management as well as project progress. Below are some sample prices for Nutcache, but if you visit its website, you can specify your team size and get customized pricing. ProofHub has a simple interface and is well-organized to help keep your team on top of projects. ProofHub has all the basics to make your team more efficient, but some companies do it better. They claim to do everything the other project management tools can do too, and there is one set monthly price regardless of the number of users (which can be a good or bad thing, depending on how many team members you have). 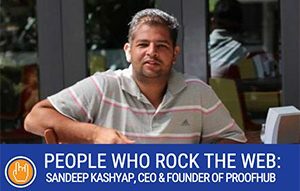 Learn more about ProofHub in our interview with CEO And Founder Sandeep Kashyap. When you have a virtual team, good team communication is critical to collaboration. Luckily, there are more options than ever before, but sometimes an important text can be disruptive and scheduling a phone call can be impossible. Virtual team communication tools give you a dedicated platform to make up for the lack of a shared physical environment. Slack is our overall winner for this category for many reasons. Its desktop (and web-browser) app is intuitive and straightforward yet useful. Drag and drop a file into a chat window. Host an impromptu virtual meeting with one of its many integrations. Search conversations. It has all the same features as other chat platforms that you know and love but creates a virtual hub to put all your communications in one place. You can also search chat history and star important messages. It has a user-friendly interface, and you barely need any training to start communicating and collaborating with your team. We use Slack for quick questions to help eliminate unnecessary emails and texts. It’s also a good tool to use to chat about non-work-related things and have some fun with your team (including custom emojis). Integrations with 3rd party apps like IFTTT, Google Hangout, Dropbox, etc. Our readers get an exclusive $100 off of Slack, just use this link to get started. Discuss this promotion and others on our dedicated Slack discount code page. Team collaboration platforms combine communications, task management, project tools and more all under one roof. Instead of doing one specific task exceptionally well, team collaboration tools do a lot of things pretty well. You might sacrifice certain features, but you get the benefit of having an all-in-one product that consolidates everything into one place versus logging in and out of multiple platforms. We chose Asana as the clear winner for the best team collaboration category. Asana claims to be “teamwork without email,” and it is just that. It looks and acts like an email inbox but groups projects with the ability to add due dates, “likes” and stars for essential items in one place. It integrates with several third-party sites, including Google Drive and Slack. Many well-known organizations like Uber and The New Yorker use Asana. However, it does take some getting used to if you’re not very tech savvy. There are several bells and whistles users can take advantage of, including the ability to create custom themes and shortcuts. When you have a document that needs editing and feedback, it can be a challenge to go back and forth between versions and confusing to know which is the latest copy. Also, files attached to emails can go unnoticed in email chains and weigh down your email server space. Enter: GoogleDrive. GoogleDrive (formerly Google Docs) is widely used by many virtual teams, government agencies, non-profits and businesses of all sizes. When you have your document hosted on a cloud-based editing platform like GoogleDrive, you have only one copy of a document, yet you can go back to restore previous versions if needed. Google Drive’s functionality is similar to Microsoft Word, Excel and Powerpoint. What’s different is that you and your team can collaborate on a project together in real-time via the cloud. Team members can edit, view and comment simultaneously without worrying about version control. You can also share folders and restrict user access through Google Drive and access your documents on the go using its laptop and mobile apps. There is 2-step authentication to ensure your documents’ security. It’s important to know that Google offers its tools at no cost, but you’re giving them the ability to see and use your data for their R&D purposes. So in a way, you’re paying with your privacy. Be sure to check your documents’ access levels and be especially careful with sensitive data. We use Google Drive for more active documents and archive older documents to a safer, more private location. Integration with other Google products like Gmail, Hangouts, Chat, etc. Sometimes a project requires more than just a glorified checklist. There can be lots of parts and complex pieces to the puzzle that all work together. You want to keep a bird’s-eye view of the bigger picture, without getting too lost in the weeds. That’s when you need a more complex online collaboration tool like LiquidPlanner that gives your team more than enough tools to get to the finish line of a project together, on schedule and on-budget without letting any details slip through the cracks. This tool is ideal for larger corporations with complex project and task structures. If you have a larger company or team with multiple layers and moving pieces, LiquidPlanner is a good tool for you. It specializes in “priority-based schedules,” which means your to-do list updates automatically based on the most time-sensitive priorities. LiquidPlanner has a time tracker which records how long a task takes you to complete and logs your hours by project. You can also use reports and tracking tools to see how your team can improve its efficiency. They also have an open API (application program interface) for developers, so if you’re a little more tech savvy, you can integrate with other tools. Note that LiquidPlanner is more expensive due to the number of features offered, but it’s worth signing up for a free trial to check out this cool product. Change can be difficult, and it can be a challenge to get everyone on board with a new way of doing things, so the last thing you want to do is cause tension in your team. So why not take your take your existing software and systems and integrate them to work together? Thanks to SharePoint‘s cross-platform project collaboration you can do just that. SharePoint is great for companies that use Windows since it’s part of the Microsoft Office suite. 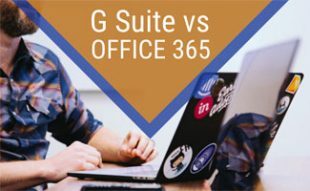 You can connect with other employees using Microsoft’s technologies like Word, Excel and Powerpoint. Large companies commonly use Sharepoint to integrate with existing Customer Relationship Management (CRM) tools and applications like DocuSign. Another option is SharePoint Server OneDrive for Business, which syncs files and folders (similar to Dropbox). Brainstorming can be a challenge when you’re not all sitting in a conference room together or chatting over coffee. That’s where collaborative brainstorming tools like Trello and Kanban come in. They allow you to share ideas, manage to do’s and more, visually. It’s like using a giant virtual whiteboard to post sticky notes, tape ideas and assign tasks. Trello is a very basic to-do list service you can use to collaborate with team members. There are minimal options to assign tasks, but you can tag “cards,” create alerts and add photos to “boards.” Think of Trello as an online whiteboard with a bunch of high-tech sticky notes. The free version provides most of the features as the gold/upgraded version, and the functionality is more or less the same. Trello is great for anyone looking for a visual way to virtually brainstorm ideas and display your thoughts in a stream. Kanban Tool is a visual project management tool that helps teams become more efficient. Teams can use Kanban cards, colors, tags, due dates and more to organize projects. Team members can collaborate in real time by sharing tasks, information and comments all while seeing how a project is progressing. You can spot any problem areas and help your team’s efficiency by using Kanban’s analytics and metrics. 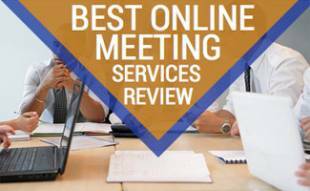 While these products did not rank amongst our winners for online collaboration tools, they are worth your review and consideration. Depending on your needs, they may be a great fit for your team. Owned by RingCentral, one of our top picks for best online fax companies, Glip offers many of the same features you’d expect from other online task management tools but nothing that stands out. For that reason, we didn’t see any compelling reason to include them in our top choices. RingCentral, however, is a reputable company that’s been around since 2003, so you can trust that they put out reliable products. We just wish they had done something to differentiates Glip from the others in this space. We couldn’t find many things to say about it — good or bad. If your goal is to clean up your team members’ inbox clutter and you like to see things in a clean, visual way, Glip might be a good fit for your group. Dubbed the “hub for teamwork in Office 365,” Microsoft Teams is perfect for those who already use Microsoft products and services like Word, Excel, PowerPoint, OneNote, SharePoint, etc. The Teams platform puts all of Microsoft’s online collaboration tools under one roof, including chat, conference calling, customized dashboards and more. Integrates with Adobe, SurveyMonkey, Smartsheet, etc. Sococo falls short in technical and privacy capabilities, but it does give your team the ability to be all in the same (virtual) office space together. Think of visual chat paired with virtual reality. Logging into its online workspace is like coming to work in the morning. Sococo is great for those of you with office withdrawal who need to feel like you’re working with another human in real time and see them in their “office.” It creates a virtual workspace for teams to connect as if they were in an actual brick and mortar building. Each team member gets their own “office,” which even has a door you can shut to have privacy. It’s a great way for teams to bond, have a spur of the moment meeting (or virtual happy hour) and see who’s “in the office” (or online and available). Founded in 2007, Wrike boasts more than 8,000 paid users since its inception. It has a tutorial that walks you through how to use the tool upon logging in for the first time and requires no credit card to sign up. You can add multiple tasks and projects without having to assign a person or due date. Once things start to pile up, you can view the big picture via a timeline. You can also view tasks and projects by the due date or last modification. The paid versions include more bells and whistles, like time tracking and branded workspace. There’s a bit of a learning curve, but it’s pretty straightforward once you get adjusted to everything. There are even keyboard shortcuts if you want to get more advanced. We don’t like that you must have Flash installed to use the tool, but other than that, it’s a great product and perfect for fans of Gantt charts. Pricing is on an annual basis, and there’s a free trial available as well as a free plan. Wrike also has add-on features to enhance the plan you choose. Should I Use More Than One Collaboration Tool? Probably yes. Think about how you’ll be using your online collaboration tool. All these products offer various benefits, and you may find that using a combination of these services will work best for you. For example, we use Google Drive, Slack and Basecamp on a regular basis. Whether you’re a company or individual, your data is at risk of being hacked or lost. It’s important to take advantage of the security and back-up features these online collaboration tools offer. Some have built-in security features while others require configurations (read their privacy policies carefully to learn who has access to your data and what’s being done with it). No matter what, make sure you aren’t at risk for hacks or server crashes (read our article on website security and optimization on ways to protect yourself). Make sure the data you’re passing between platforms is secure and that your data is being backed up. For example, it’s a good idea to use a secure service for signing important documents. If you’ve been compromised, we recommend a service like Sucuri to clean up the mess. Lastly, check and make sure your email server wasn’t blacklisted as a result of the incident. Video: Why Use Online Collaboration Tools? We made this fun, one-minute video to show you how these tools can help supercharge your team’s productivity. Which Collaboration Tools Do We Use? Find out exactly which tools we use at We Rock Your Web in our companion article, tips for managing your virtual team. What tips do you have for collaborating online? Do you have a favorite software or tool? Sadie has acted as the email marketing coordinator and web designer for one of the world's largest travel companies and managed social media for dozens of major brands. She has a breadth and depth of web and marketing knowledge that reaches far and wide. She loves all things Mac and keeping up with all the latest web trends. 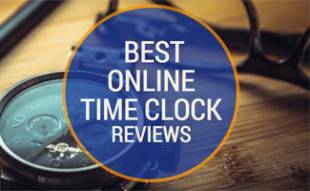 Online Time Clock Reviews: TSheets vs Harvest vs Timecamp vs Toggl vs Paymo & More! I really like kanbantool, I’m glad you mentioned it in the article. Thanks to the app, I always know what other people in my team are working at the moment, it makes it easier to be up to date with the progress of projects and keep the deadlines. Very useful tool. I live in Asia and search for an app that serve a purpose who won’t spent most of the time indoor, Microsoft Kaizala appears to be available to selected countries and easy to use as it was specially use in India, how does it compare? None of them really worked for me. What I needed most was a secure IM that is suitable for business use,that has many features included and a good affordable price. I have tested the majority of these and ended up with Brosix. I t looks that I have found what I needed now. My team started using Slack about two months ago. I don’t know how we ever managed without it. Also, I wasn’t aware that there were so many online collaboration tools. I’m going to look into adding one or two of these to our repertoire. Thanks for all the information. Product update – Nutcache now provides teams of all sizes with a business-oriented Agile/Scrum solution for managing the entire project delivery lifecycle in a collaborative workspace; from the initial estimate to the final billing. And Nutcache offers a mobile app to track time outside of the app too. Hi Marc, feel free to reach out to us through our contact form and we’d be happy to make any updates. Thanks for reaching out to us! Just wanted to inform you that Teamwork Projects now offers two-factor authentication, so you may need to update the piece. Thanks, Therese, we will be sure to update our article. What’s involved in the Basecamp 2 to 3 upgrade? We’re currently on Basecamp 2 and are worried that we will lose some of our content if we sign up for Basecamp 3. Also, in regards to Basecamp pricing, is it correct that Basecamp 3 cost $50 a month more than Basecamp 2? This is all very confusing, since from what I can tell they are still fully supporting both versions. We just updated the article with details on the Basecamp migration process. Essentially, there is now an upgrade option available that will migrate your data from Basecamp 2 to Basecamp 3. Our team accomplished this successfully just the other month. It’s also true that version 3 is slightly more expensive, but given the new features and the fact that the 37signals team is now exclusively focusing on Basecamp 3 development, we felt it was the right time to upgrade. Good luck and let us know what you decide! Verus, I haven’t heard of Brightpod but will add to our list for consideration of reviewing during our next audit! Sounds like a great tool and we appreciate you sharing. Hi Sadie and thank you so much for your article! You have some really great feedback and comparisons about features. It is difficult to find a one size fits all solution on the market, but it does actually exist 🙂 I would love to introduce you to Taskworld. Named as one of the top task/project management & communication software tools by software review giant, Capterra, recommended in Tech Crunch, Huffington Post and Forbes, Taskworld is offers an all-in-one platform with robust project and task management, collaboration, communication/chat and overview and analytics tools, with intuitive design and easy onboarding – all on one platform. It doesn’t require any integrations but rather is a full stand alone team management tool – it’s got all of the features missing on your cons list 😉 Think of it as all the best on your list rolled into one. Would love the opportunity to chat with you a bit more about it and see how we might make it into this blog or a future one 🙂 We’ve had so many teams come to us from Trello, Slack, Basecamp, etc. saying they’d wished they had known about Taskworld sooner, and that there was an all in one platform without having to deal with integrations and paying for multiple subscriptions. Thank you again for your time and hard work! 🙂 Feel free to get in touch with me via email. Jessica, thanks for letting us know about Taskworld, sounds like a great solution and glad to hear you’ve had so many successful users. Will check it out and definitely consider it for our next update of this article as we are always looking to include the latest and greatest products on the market. In the meantime I’ve got your contact info should we have any questions. Thanks again for reading and taking the time to share! Hi Sadie, I really appreciate you taking the time to reply, thank you so much for your consideration and kind words. Do kindly let me know if you do an update or need any info, I am more than happy to offer any insight or help I can as our team has also done a lot of research about the PM software market to try and come up with the best solutions for teams – even recommending other software if it’s a better fit. Thank you again and Happy Holidays! I have a small company but we do a ton of enterprise projects, so we have a very fast paced environment. We have been using a group of apps, that luckily we have been able to sync to work together thanks to their programming interfaces (API). We use Trello as our Project Managent tool, we have it linked to slack so different team members get notified when their projects are changing. We use Slack for all our communications, since we are a bunch of engineers we are always on the go we need that mobility and being able to track all our conversations is a huge plus. We also use Google Docs, because even though Slack is great as a document collaboration tool, all our final projects are stored in Google Apps so we can all access them and edit them. Lastly, we use Cushion to Manage projects from a time/cost point of view. Cushion is a new player. Cushion is originally designed to help freelancers manage projects and how much time/money they vest on them. For us it was a godsend. With Cushion we can see our schedule, and we can plan tasks and projects that are meant to happen some time from now, ahead but still within the budget. It helps us track out expenses so we know how much we are putting on a project or a client and manage our time so that when an engineer has done X amount of work (including weekends) that person can know when they can take a break and rotate their time. It’s a pretty amazing tool. It’s cheap too at $96/yr. One thing that is missing is team access, for us it works because our project manager uses the tool the most, but the developer has told us that Teams is already a feature that is coming up. The developer is the nicest guy possible, and incredibly reachable at all times. The combined cost of using all these web/cloud based apps is a lot cheaper for us than using other solutions. For us we use whatever works. But I think you should check out Cushion. It’s worth a look. Gilbert, thanks for the details about how you use project management tools for your company and for sharing Cushion! We are always on the hunt for the latest and greatest tools out there so appreciate your recommendation. We will check them out and add them to our list to perhaps feature in the future. Thanks again for reading and sharing your experience with us! This is a very useful thread and I hope it’s still active. We are currently looking at revamping our Intranet with SharePoint and are considering using it for enhanced collaboration, however I’ve been using Basecamp with our development supplier and find it really easy to use and it helped our project communications immensely. Our organization has chosen Asana as the team collaboration tool, so I am trying that out before deciding on which one to adopt. I don’t like the way Asana has limited formatting with conversation threads. I also don’t like the way Asana doesn’t have other lists except for task lists, or at least I cant figure out how to use it to that effect. In Basecamp we could create a list and give it a name, so it was much more flexible. I think an amalgamation of the tools will be ideal, but then you lose the benefit of having one place to go. Any advice? Jess, thanks for sharing your experiences and we definitely feel your struggle with finding a one size fits all solution. Our team uses Basecamp for project management and documentation but Slack for day to day communications (although Basecamp does have a Campfire chat feature). What tools you use really depends on your organization’s size, culture and needs so it’s difficult to recommend something specific to your situation. However, I can tell you from our experience Basecamp has been our go-to solution for awhile. The only downside is when they upgrade to newer versions the archives don’t transfer over so we can’t take advantage of the enhanced features (since we’d be unable to access our older files). Hope that helps! You guys should add Avaza to this comparison. It has the functionality equivalent of Trello + Asana + Harvest + Freshbooks, integrated in one product, at a price less than any one of them. Thanks Tim, we’ll look into adding the company in our next audit for this article! Hey Tom, thanks for reading and glad to hear you found this article useful! And thanks for sharing how you use various tools for your company, since there’s no one size fits all approach in using these services, always curious to hear how others make the most of the various collaboration and virtual team tools. Haven’t heard for Telegram Messenger but will definitely check it out and we’ll consider adding it to our article when we do our regular audits. Either way, hopefully some other readers can take advantage of it using the tips you mentioned in the meantime. Thanks again and happy collaborating! Good roundup! How robust/useful would you say these tools are for SMEs in construction, where at enterprise scale there’s traditionally a lot of emphasis on proprietary tools like Oracle Primavera (scheduling) or ARM (risk management)? The pricing plans here seem typically much less than several tools that aren’t mentioned, such as Wrike or Clarizen. Also one gets the feeling the projects envisaged here are product launches, app development, etc. rather than multi-disciplinary construction work. Any thoughts? Tre, yes the products we reviewed are focused on communications and collaboration amongst small and medium enterprises which is why these tools are more affordable than traditional project management tools. And luckily most of these services have free trials too so you can give them a try before committing to anything. We reviewed both Clarizen and Wrike in our review of the best project management tools review article which might have more of what you are looking for in terms of finding a solution for managing construction projects. Hope that helps! Another one to add to the list would be Favro from the guys from Hansoft. In my opinion it takes all the good things from trell, slack and google drive and puts it all together in a comprehensive great looking package. Packed with enterprise level features for a less than 8 bucks, as well as a free version, this would be my top choice. Wouldn’t it be easier to user Bitrix24, which is free and is just like having Slack+Asana+Google Drive in one? Not quite in the same league but a brilliant tool for agencies is Toggl. Loving it at the moment. So easy to record where your time is spent and it links with Asana and Trello and others too. Anne, what a small world indeed! So glad you found our online collaborations tools article useful and please let me know if you have any specific questions. We use a variety of products/services mentioned above including Slack, Basecamp and Google Docs but it really depends on your business needs. Feel free to reference back and best wishes to your organization in making a decision! Sadie, I’d love to know what you think of Zapty. For me, it is the only tool that has all the features: structured conversations (like Slack) PLUS allows teams, task assignment, approvals and polls. Only trouble is, it’s still new and a bit buggy. Sue, thanks for sharing your thoughts and have not heard for Zapty but will look into it and add to our list to consider for our next article update (perhaps after it gets the kinks out!) Appreciate you passing along this tool and thanks so much for reading! In addition to above mentioned tools, you may also try a R-HUB web conferencing server for all your online collaboration needs. How many people would use Slack if it was web based only not an app? With Slack you can use it in your web browser. Our team uses Slack and a few of the team members use it in their browser so it doesn’t take up space on their system. Asana seems like it just has task lists, no ability to delegate and a chat feature. Looks very basic! We use Asana at work and you can assign tasks to people, it’s great for our 8 person team. One person handles clients and then types up tasks and assigns them to each person, and we all just carry on doing our work. Definitely room to improve but it has changed how our office operates drastically in the past 2 months. Plus it’s free. At the time I tried Basecamp it was extremely limiting. I tried a few other project management services, but they all forced you into a specific workflow that did not give you the flexibility to have projects progress in the order things actually happen in. Asana combines being easy to use for the basic features with having lots of extra features without losing flexibility. You can organize your projects however you want and create your own workflow. I prefer to use Asana without integrating it into something like Slack because I think it is beneficial to try to force as many conversations as possible to happen inside Asana so the conversations get organized properly. It is already hard enough to get people to use Asana when they should just because of the option of using email, text, or calling on the phone. I’m sure there are teams out there that know when to use Slack and when to use Asana, but for our team too many people would just take the path of least resistance and do everything over Slack. I do think voice and video chats are needed for certain very back and forth, complex conversations. Great insight! Glad to hear that Asana is working well for you and your team! Our team didn’t like using Asana and it didn’t have controls to force users to enter certain fields (like the due date). So we stopped using Asana. On the other hand, Slack was adopted quickly and loved but we had to can it because stuff was everywhere and impossible to measure and manage. Slack by name and Slack by nature. People do have their head in the clouds when they think one cloud software will solve all their problems. We just started using DayViewer looks like it is more of a calendar based planner but has a pretty thorough team working & collaboration feature and is easy for our office to pick up and use, we manage small projects and appointments on there. which would actually be a con. But luckily it’s a misinformation, since there is an Android client for slack. Whoops! Thanks for being our second pair of eyes! We have updated both of these items! Thank you for your reply, Kimberly! Unfortunately, I don’t see any amendments to the article in the mentioned sections. I.e. it still says “idol” instead of “idle” and the fact that slack exists for Android, too, still isn’t mentioned. Great read and a splendid effort there Sadie. I was wondering if Evernote is included? As its my personal favorite when collaborating work on documents. Thanks Fenbsion! We didn’t include in Evernote in the review but agree, big fan of it as a tool for collaboration and productivity as well. I use it personally to file documents and access them on the go. Thanks for sharing!